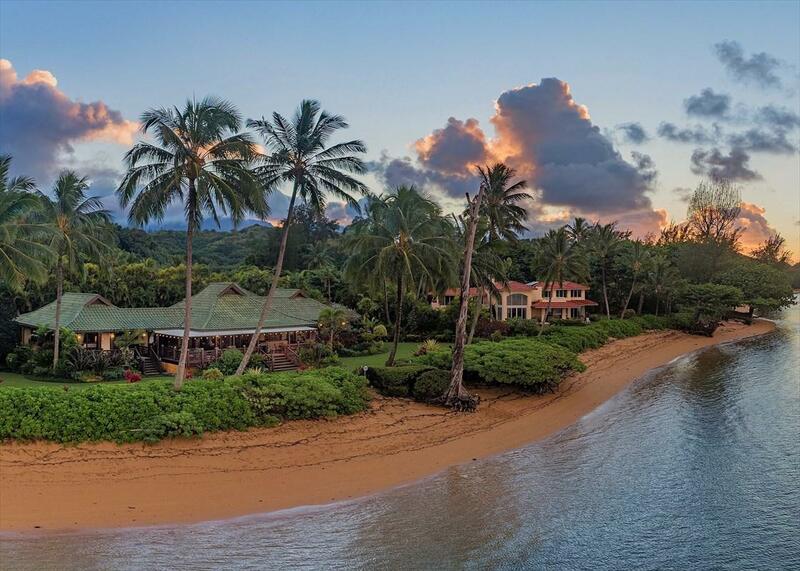 Enjoy 180-degree ocean views from this exceptional estate property which encompass breaking surf, the azure waters of Anini Reef, the Kilauea Lighthouse, and a distant glimpse of the idyllic little island named Mokuaeae. 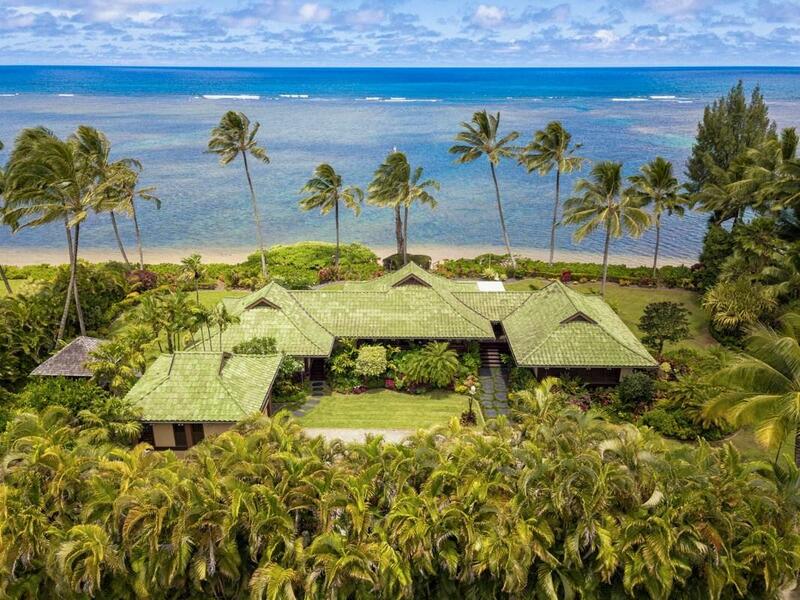 Aptly named after the "quiet waters of the Anini lagoon, Wailana Malie is a truly timeless Polynesian estate. Designed by Anderson Collier Architects and constructed by R.S. 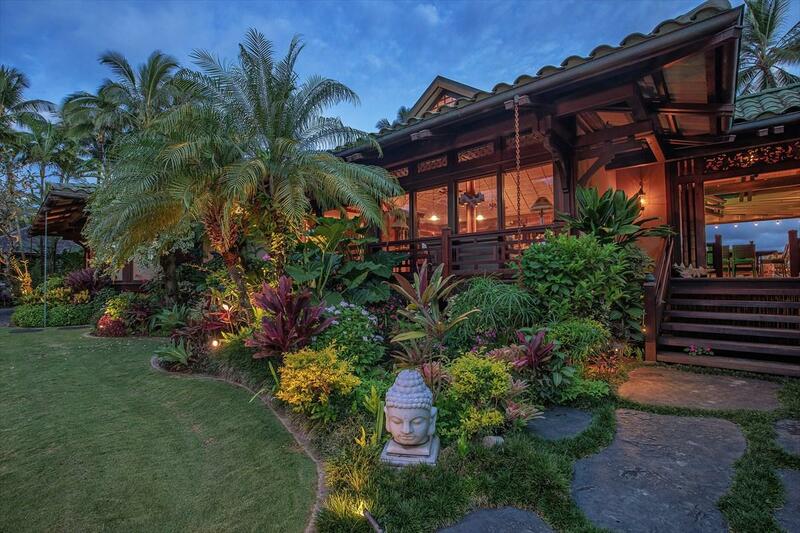 Weir (Kauais premier builder) this property is characterized by incredible design features and custom woodworking throughout. 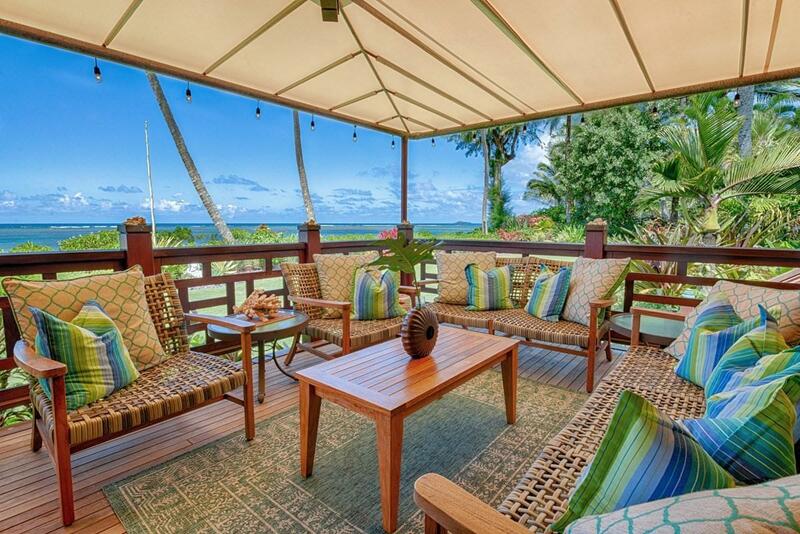 Approximately 240 linear feet of beach frontage, ample privacy, security, a separate guesthouse, an artist studio, and one of the most beautiful island settings that one can imagine! Notable Features Include:* Hardwood Floors Throughout* Japanese Ceramic Tile Roof* Custom-Built Hardwood Cabinetry in Kitchen & Baths* Monitored Security System - Fire/Theft/Motion Sensors & Lighting* Mature Tropical Landscape w/ Landscape Lighting & Automatic Irrigation* Koi Pond & Waterfall at Entry* Sonos Zoned Audio System* Extensive Copper Works & Flashing on Exterior* Granite Countertops in Kitchen* Lift & Glide Door Systems* 2-Car Garage* Separate Storage Shed* Free-Standing Art Studio (10' x 10')* Gated Entry* Automatic Sun Shades* Imported Balinese Entry Door* Kitchen Island Buffet Sink w/ Disposal* Outdoor Dining* Ipe Decks* Underground Plumbed Propane Torches* Operable Hand-Carved Custom Hardwood Transom Windows* Top-of-the-Line Appliances - Sub Zero Refrigerator, U-Line Wine Cooler, Dacor Oven, 2 Bosch Dishwashers* Stone and Ceramic Tile Work* Outdoor ShowersAn incredible, quality, one-of-a-kind Oceanfront Estate on the North Shore of Kauai.